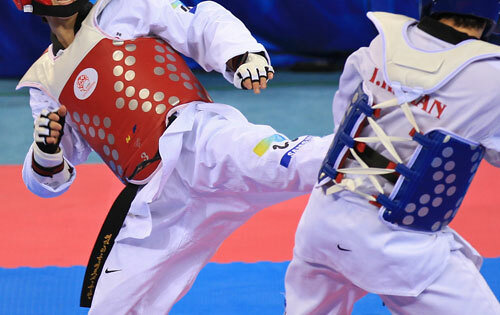 USADA announced today that James Howe II, of Miami, Florida, an athlete in the sport of taekwondo, has accepted a six-month sanction for an anti-doping rule violation. Howe, 29, tested positive for Carboxy-Tetrahydrocannabinol (THC), a metabolite of marijuana and/or hashish, above the decision limit of 180 ng/mL, as a result of a urine sample collected on May 1, 2016, at the USA Taekwondo Senior Team Trials held in Colorado Springs, Colo. Carboxy-THC is a substance in the class of Cannabinoids, which are prohibited under the USADA Protocol for Olympic and Paralympic Movement Testing, the United States Olympic Committee (“USOC”) National Anti-Doping Policies (“USOC NADP”), and the World Taekwondo Federation (“WTF”) Anti-Doping Rules, all of which have adopted the World Anti-Doping Code and the World Anti-Doping Agency Prohibited List. As Cannabinoids are listed as Specified Substances on the WADA Prohibited List, depending on an athlete’s degree of fault, the resulting sanction can be reduced. Howe accepted a six-month period of ineligibility, which began on June 13, 2016, the date he accepted a provisional suspension. Based on Howe’s successful completion of a USADA anti-doping educational tutorial, his period of ineligibility was reduced by three months and is now scheduled to expire on September 13, 2016. As a result of the doping violation, Howe has been disqualified from all competitive results obtained on and subsequent to May 1, 2016, the date his positive sample was collected, including forfeiture of any medals, points and prizes.